People have asked me, "Callen, how did you get your hair so light?" My response, "By severely damaging my hair." I am not a professional hair stylist, nor do I claim to be an expert, bu one day over Thanksgiving break, I had the crazy idea that it would be cool to have gray hair. And so, I did and it was awesome. I thought that I looked dope with silver gray hair. It was cool for a couple of days, then it wasn't. How did I manage to achieve this oh-so-trendy look that it's borderline passe? Not by being patient! And that's one of the main reason I had to chop most of my hair off. 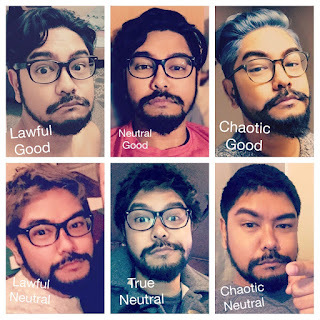 From Thanksgiving through my birthday, I've sported several hair colors ranging from my natural black hair to silver white and all of the awkward colors in between. Simply put, unless you are a professional (and even then), it is nearly impossible to turn black/dark hair to gray/silver/white without causing some damage to your hair (and your scalp). Is it something that you really must have? Would you have the patience to go through the process? Do you have the time, energy, and resources to maintain the up-keep? Do you have a transition plan once you decided that it's no longer for you? Sounds dramatic, huh? But then again, if you're like me - impatient and has no emotional attachment to my hair, then my advice is to GO TO A PROFESSIONAL! Don't do it yourself. Of course, there wouldn't be an evil affiliation - duh! My hair color evolution from Thanksgiving to March 13, 2017. BLEACHING - Professionally referred to as "lifting". I had to get it done 4 times. A total of 8 hours just to reach the next stage. It burned like hell! My scalp was all scabbed up from the ordeal. And when it flaked off, it was embarrassing AF. Not to mention that in between lifting, I had to live with brassy orange hair for a couple of days, then corn yellow hair, some sort of blond, and finally a really light blond. 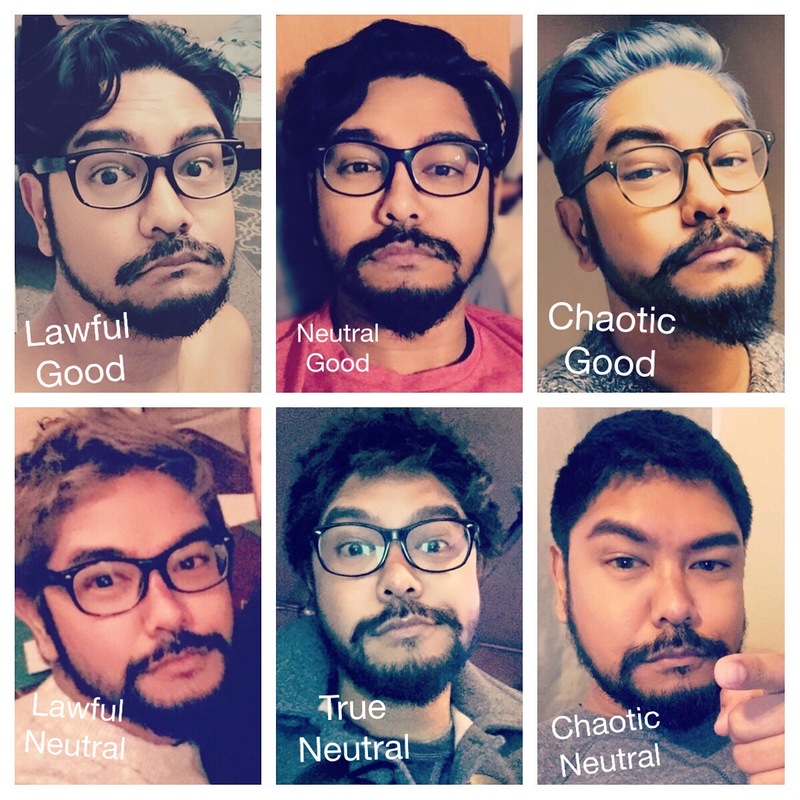 None of which looked good on me. TONING - Toning is basically coloring with a lot of hair conditioner and whatever the blue stuff was. This is an important step because it counters the brassiness from bleaching dark hair. If you've ever accidentally bleached a dark shirt, you may have noticed that the bleach spot turned reddish gold. It's the same thing with hair. COLORING - This is the step where things like "dimensions" and "depth" are added to your hair. The coloring process is what creates the final look, but this cannot be achieved without the first 2 steps - if you have dark hair, at least. For my hair, we used Ion's Color Brilliance in Titanium. CONDITIONING - After the color set and your hair is rinsed, you will need to condition your hair to salvage it from all of the chemical processes you've put it through. This is an on-going throughout the life of your new hair color. MAINTAINING - If you intend to keep your new hair color for a few growth cycle - which I was told .50 inches per month, then you would definitely want to repeat steps 1 to 3 every 2 months. You also need to use a shampoo made for color treated hair to avoid fading. Did I like the end result? Yes! Did I think I looked good with light hair and dark facial hair? Hell yeah - in an evil villain sort of way. Would I ever do it again? Ummm... hard to say. On one hand, my hair was severely damaged that I had to cut it all off - and just a few months from my favorite event: Des Moines Art Center's Big Hair Ball! But I did learn one thing, even though I say that I'm not emotionally attached to my hair, it's still kinda sad to see all of your hair chopped off - especially when you've been used to seeing yourself with longer hair. I can now relate to the girls on Top Model when they have a breakdown over their make-over. Callen is an artist, designer, and writer. He likes anime, synth pop, and playing Animal Crossing. He draws for fun. Please consider supporting my art. Now accepting commissions for portraits and illustrations. COMPLIANCE WITH INTELLECTUAL PROPERTY LAWS When accessing the Site, you agree to obey the law and to respect the intellectual property rights of others. Your use of the Site is at all times governed by and subject to laws regarding copyright ownership and use of intellectual property. You agree not to upload, download, display, perform, transmit, or otherwise distribute any information or content (collectively, “Content”) in violation of any third party’s copyrights, trademarks, or other intellectual property or proprietary rights. You agree to abide by laws regarding copyright ownership and use of intellectual property, and you shall be solely responsible for any violations of any relevant laws and for any infringements of third party rights caused by any Content you provide or transmit, or that is provided or transmitted using your User ID. The burden of proving that any Content does not violate any laws or third party rights rests solely with you. NO WARRANTIES The views, opinions, positions or strategies expressed by this site and those providing comments are theirs alone. This site claims no credit for any images featured on this site, unless otherwise specified. All visual content is copyright to it's respectful owners. If you own rights to any of the images, and do not wish them to appear on this site, please send us message on our Contact Us page, and they will be promptly removed. This site makes no claims, promises or guarantees about the accuracy, completeness, or adequacy of the contents of this website and expressly disclaims liability for errors and omissions in the contents of this website. No warranty of any kind, implied, expressed or statutory, including but not limited to the warranties of non-infringement of third party rights, title, merchantability, fitness for a particular purpose and freedom from computer virus, is given with respect to the contents of this website or its hyperlinks to other Internet resources. LIMITATIONS ON DAMAGES TO THE MAXIMUM EXTENT PERMITTED BY LAW, IN NO EVENT SHALL THE OWNER OF THIS SITE BE LIABLE FOR DAMAGES OF ANY KIND (INCLUDING, BUT NOT LIMITED TO, SPECIAL, INCIDENTAL, OR CONSEQUENTIAL DAMAGES, LOST PROFITS, OR LOST DATA, REGARDLESS OF THE FORESEEABILITY OF THOSE DAMAGES) ARISING OUT OF OR IN CONNECTION WITH YOUR USE OF THE SITE OR ANY OTHER MATERIALS OR SERVICES PROVIDED TO YOU BY the owner of this site. This limitation shall apply regardless of whether the damages arise out of breach of contract, tort, or any other legal theory or form of action. COMMUNICATION All communications with the owner of this site should be done through our Contact Us page. Copyright © 2019 I am Callen. All Rights Reserved. Powered by Blogger.